The Zenways meditation and mindfulness teacher training is unique. Being firmly rooted in the Rinzai Zen tradition, it has a long and distinguished history of teaching meditation for boosting physical and mental health, as well as for grounding, insight, and self-understanding. Next training: Sunday, September 1st – Sunday, September 8th, 2019. It will be a 1-week intensive total-immersion format. This is Module 1:1. Please see the Zenways link below for more information. Graduates receive a 100-hour Zen meditation and mindfulness teacher certification. Registration form: please email office@bluecliffzen.org. 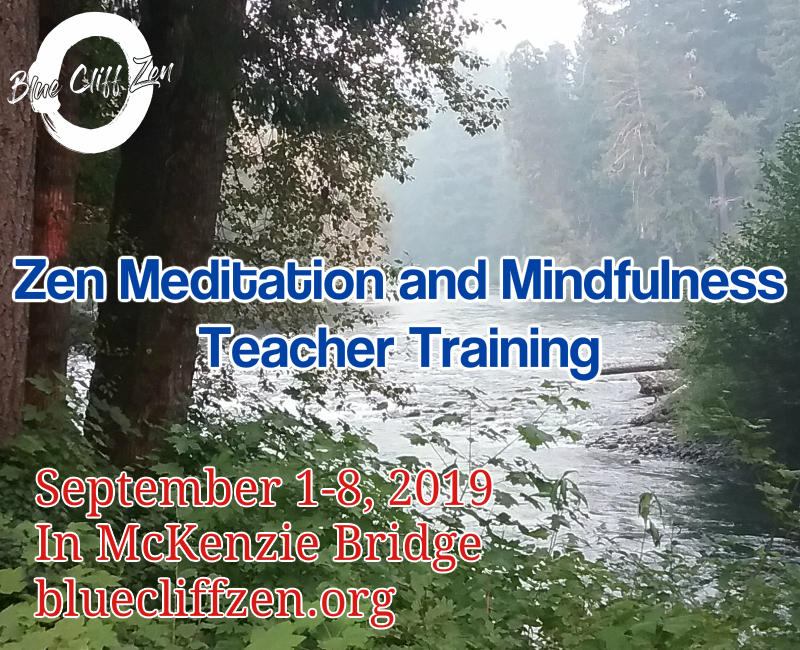 Please input “Zenways Mindfulness Teacher Training” in the subject heading. For comprehensive details please visit zenways.org/meditation-mindfulness-teacher-training/.